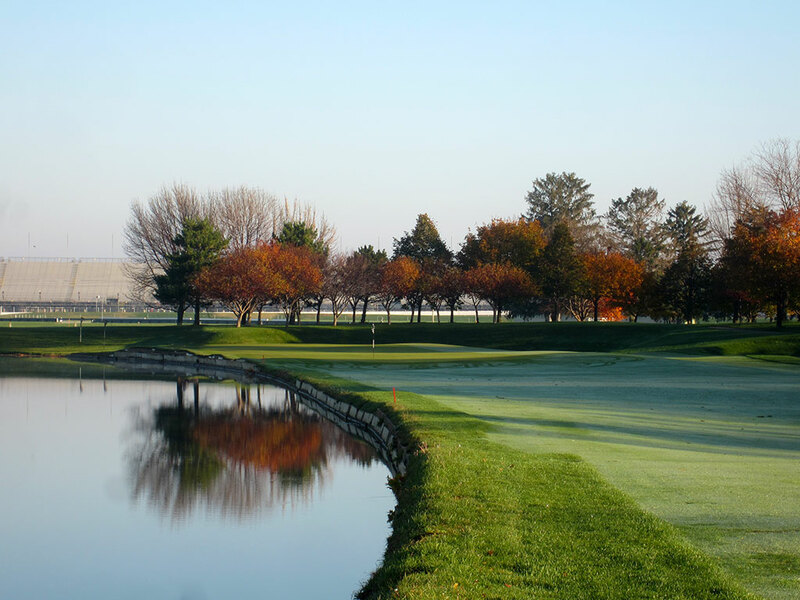 Course Website: Official Website - Visit Brickyard Crossing Golf Course's official website by clicking on the link provided. 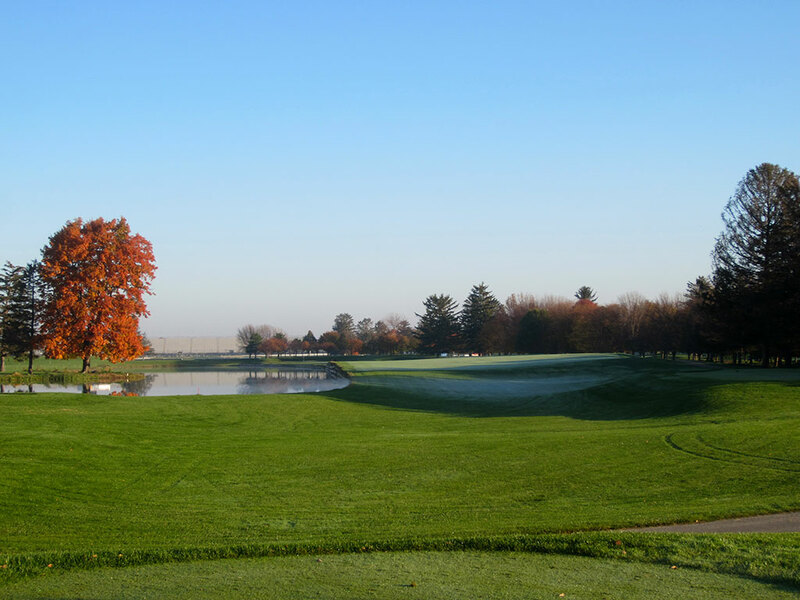 Accolades: Ranked 6th in Indiana on Golf Course Gurus' Best in State list. 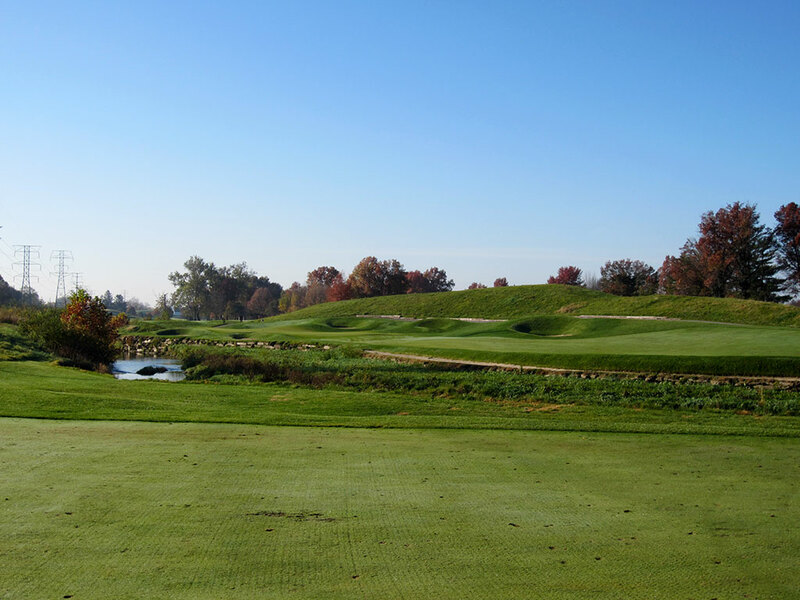 What to Expect: Brickyard Crossing is a former member on Golf Digest’s Top 100 Public Golf Course list and is the handiwork of Indiana golfing legend Pete Dye. Located at the heart of Indy car racing, Brickyard Crossing’s signature feature are the four holes located inside the oval track at the Indianapolis Motor Speedway. Overall the terrain is rather flat other than some artificially created hills that provide some separation between the holes. Water comes into play on half of the holes and numerous bunkers are found throughout the course, including over 20 on the peppered 9th hole. While the holes are solid from start the finish, the four inside the raceway and the four finishing holes are the ones that are most memorable and challenging. 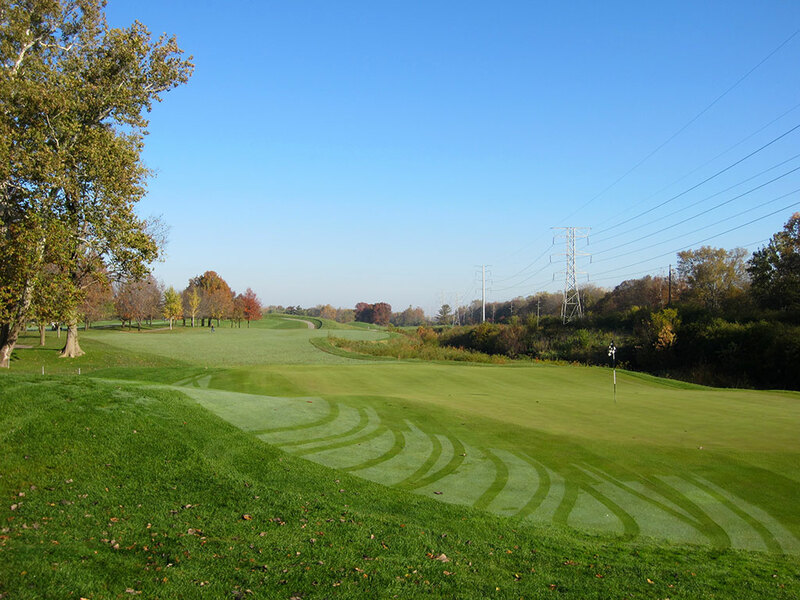 Green fees are a bit pricey, but the course is comfortably Indianapolis’ best public track. 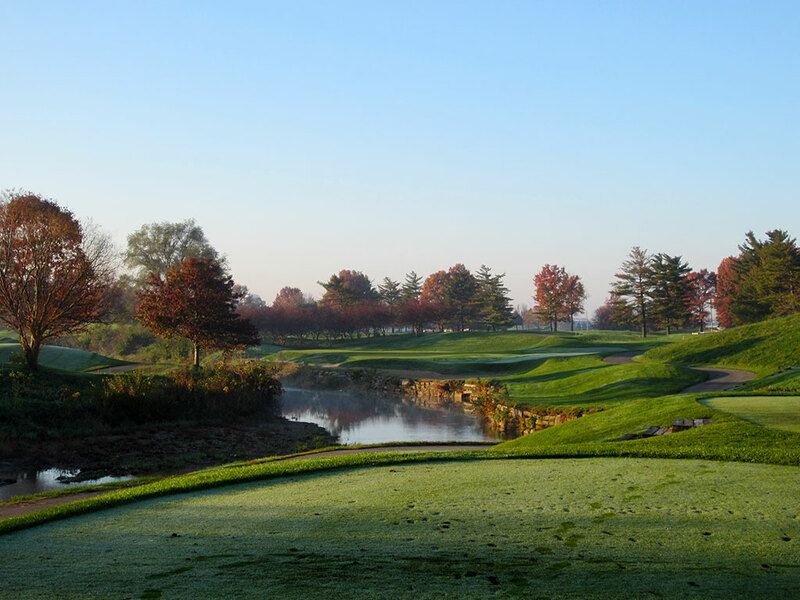 Signature Hole: 8th Hole – 464 Yard Par 4 – The iconic feature of Brickyard Crossing is playing inside the track at the Indianapolis Motor Speedway and when you come to the 8th hole you will find yourself inside the track and contending with a very challenging hole. Water runs along the entire left side of the hole and a giant hook could see your golf ball bounding down the rack track out of bounds. 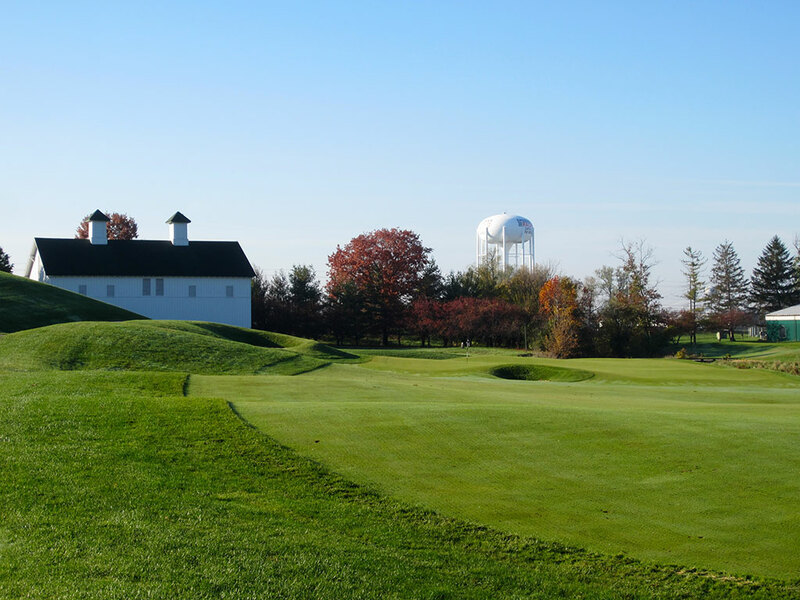 With water left of the green and two bunkers on the right, length and precision are required to master Brickyard's signature hole. 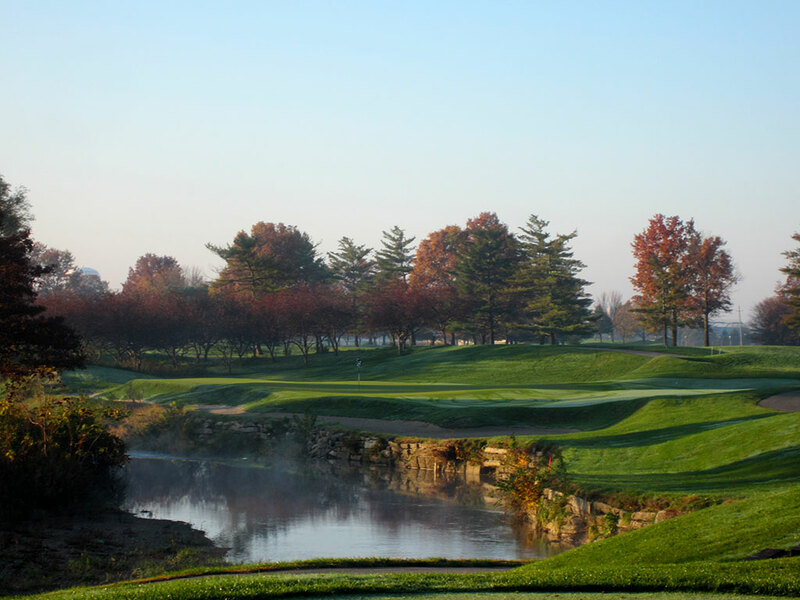 Best Par 3: 4th Hole – 215 Yards – The first par three at Brickyard Crossing is Pete's finest offering. With a green length bunker and water flanked to the left, there is good reason to play safely out to the right side of the green. However, if you hit it too far right you may find one of the two bunkers located on that side of the hole and be faced with a treacherous bunker shot back towards the water. The 4th hole is beautiful and treacherous, a great combination! Best Par 4: 16th Hole – 465 Yards – The final stretch of holes features a water hazard to contend with the whole way home. On the lengthy 16th hole the water comes into play up the left side. The hole turns slightly left the entire way, so bailing out to the right will make the approach shot longer into the green. This element of risk/reward (challenging the trouble reducing the length of the approach) is the most common among architects. 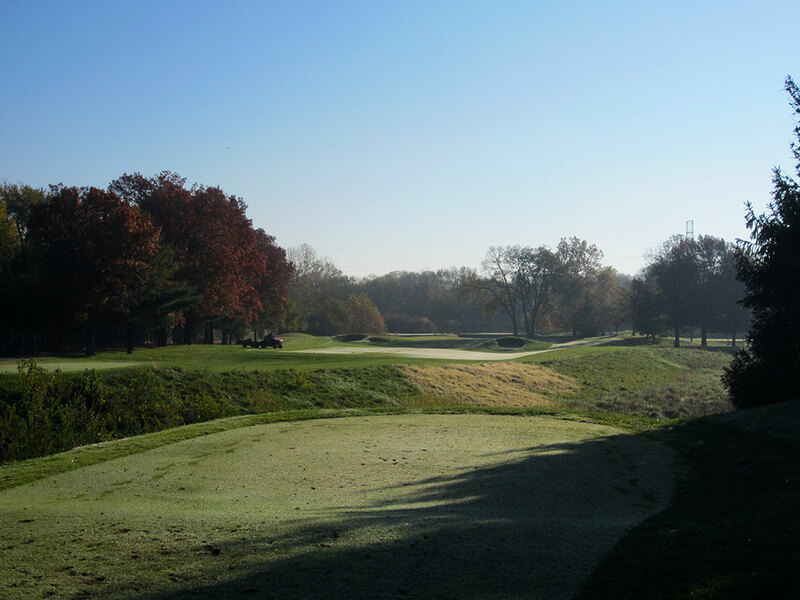 Best Par 5: 15th Hole – 551 Yards – On the 15th hole, the water hazard starts on the right side of the fairway and crosses the hole midway through before finishing on the left side of the hole. This offers a different strategy off the tee then the following hole but requires similar caution on the approach. Birdie Time: 14th Hole – 311 Yard Par 4 – This short par four is the transition leading to the final stretch of holes that all run the same direction back towards the clubhouse. Reachable with a big drive, Pete of course will require you to navigate some deep bunkers in order to find the putting surface. There is room to miss right, but to the left is a thick grouping off trees that stand as a buffer from the property surrounding the course. Whether you layup or go for the green, this is a great chance to go under par. 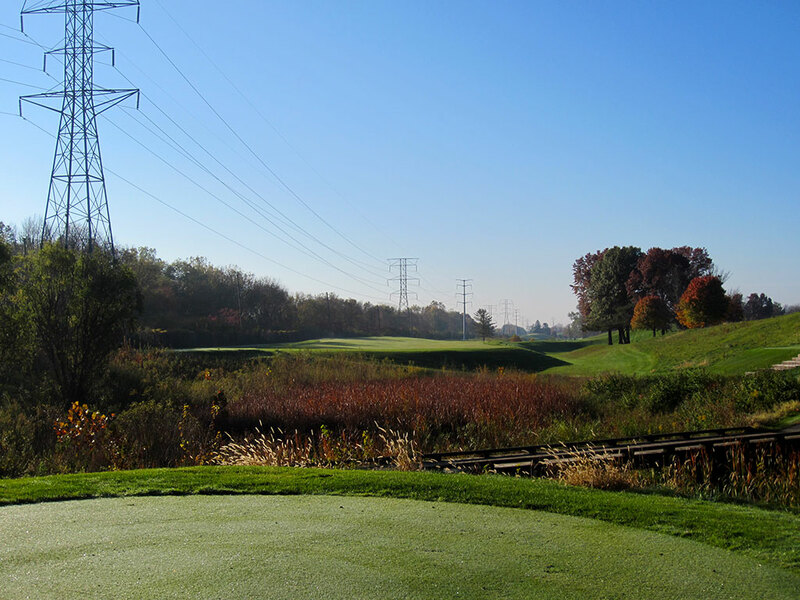 Bogey Beware: 18th Hole – 491 Yard Par 4 – This hole is flat out long! At nearly 500 yards and only two shots to reach the hole in regulation, Mr. Dye was clearly thinking about the tour pros when he designed this stout finisher. Water comes into play right of the green and some small hills are placed on the left to help work the ball back towards the putting surface for the cautious player. No doubt about it, bogey will be much more frequent than par here.